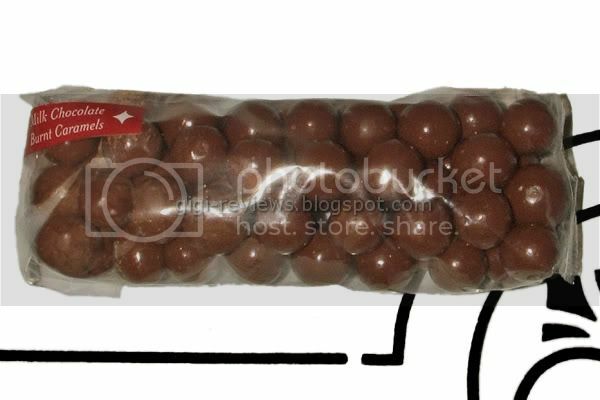 The candies are the size of your average malted milk ball. The outer layer of chocolate is milk chocolate, and...well, it's OK. Reasonably smooth and cool on the tongue. The biggest downside to the chocolate is that it is on the waxy side. It's not that it's bad -- it's just a necessary evil on the way to getting to the caramel. Burnt caramel may not sound like the bestest-ever name for a candy (well, it does sound pretty good to me, since you ask). But let me tell you that it is great caramel. Lurking in the deep core of the bland chocolate orb is a pearl of the burnt caramel. The flavor is so intense that it reminded me of the caramelized sugar layer on top of crème brûlée -- only soft and pliable. The caramel has just the right degree of saltiness. There are faint vanilla notes. I know there is no maple in the caramel, but something reminds me of good maple flavor. And butter! The last notes of flavor are all about salt and butter. I really hope that Starbucks will do something with this caramel that doesn't involve the chocolate. I found myself sucking the chocolate away from the caramel so that the caramel would be the only flavor. 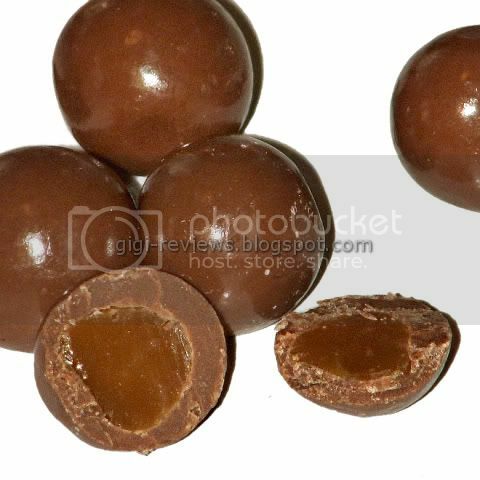 The caramel is truly outstanding, and worth dealing with the chocolate to get to. The chocolate itself...meh. Forgettable. 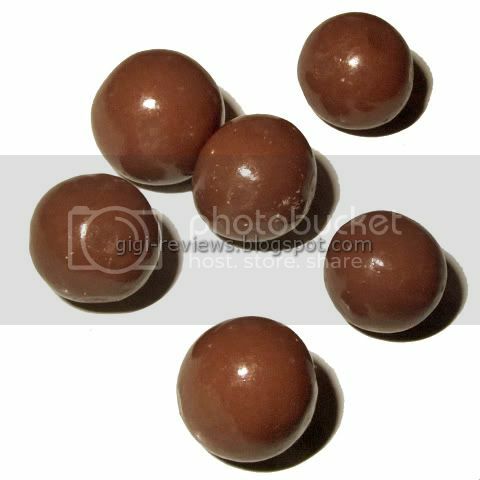 The caramrel in these sounds great - it is just a shame about the chocolate. I haven't been in a Starbucks here in the UK for years ... I wonder if they do these on our side of the pond. I think I need to do more ratings with hot chicks to balance things out. Suggestions?